But in these countries, where 90% of the world’s fishers live, daily participation in religious services and prayer is the highest in the world. As a result, religious leaders are seen as a trusted voice on both spiritual and community matters. That’s why WorldFish is involving monks, priests, elders and imams in some of its projects in developing countries to share messages on fish conservation and household nutrition. 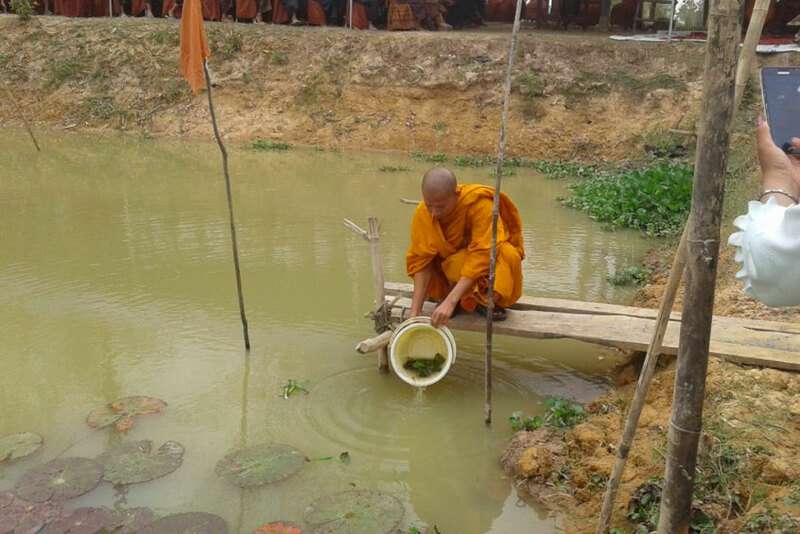 Since 2012, WorldFish has been working in Cambodia with monks, as one of many stakeholders, to help promote the importance of community fish refuges (CFR), which are natural or manmade ponds/pools that provide a dry season sanctuary for brood fish. This is part of the USAID-funded Enhancing Rice Field Fisheries project that promotes better management of CFRs to combat declining yields of fish, a vital source of food and income for rural households in Cambodia. 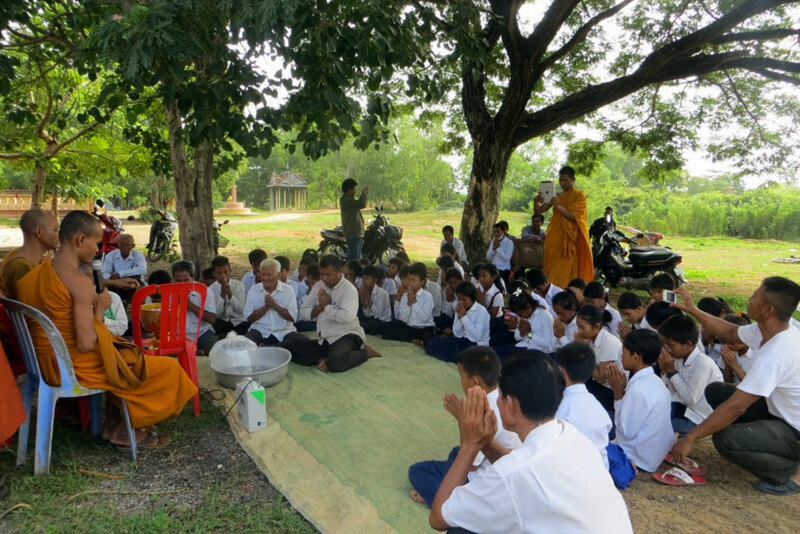 During weekly and seasonal traditional ceremonies at the pagoda and in villages, widely attended by villagers, monks explain the collective benefit of CFRs and ask for donations and support. Elderly people, who often attend these sessions, then share these messages with their own children and villagers. In Preah Neangkorl village, monks raised USD 1195 in funds from people who attended village ceremonies. These funds were used to build a village road and a canal next to the road as a pathway for fish to migrate in and out of the CFR. Likewise in Lboerk Keytayous village, monks raised funds needed to help the CFR committee and local authorities build fences around the CFR to protect cattle. In Entark Koma village, the pagoda is next to the CFR conservation area, meaning monks can monitor illegal fishing activities and show people the permitted areas for fishing. Monk stocking fish, Trapping Kuy, Cambodia. Between 2012 and 2015, the combined involvement of monks at all project sites helped build community support for the project, contributing to a 9% increase in fish catch for households living around the CFRs from 211 kg to 230 kg. For the poorest households, who saw a 71% jump in production over the same period, the results were nothing short of a miracle. Religious leaders across the world have been helping promote community development for many centuries. For example, Muslim leaders of Andalusia, Spain, were strong advocates of education between the 8th and 15th centuries. More recently, Hindu leader Mahatma Gandhi fought for environmental sustainability and social inequalities in India, while churches in South Africa were politically active in the country’s anti-apartheid struggle in the 1980s and 1990s. 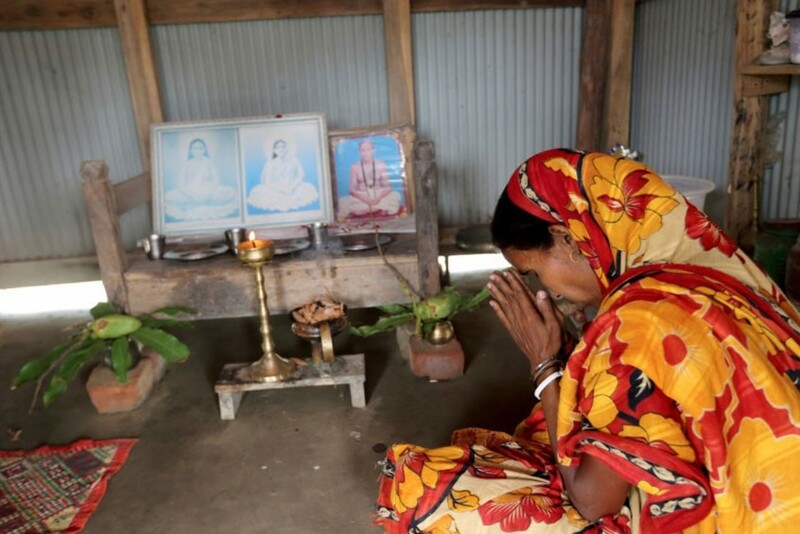 Today, religious and spiritual leaders continue to be trusted and respected by followers and the broader community, particularly in developing countries. The 2012 Religiosity and Atheism Index found that the 10 most religious countries – including Ghana, Nigeria, Fiji and Kenya – all had 85% or more of respondents identifying as a “religious person”, and all were countries with a per capita income of less that USD 14,100. Similarly, another study found that the countries with the greatest participation in religious services and prayer were those that scored low on the Human Development Index. Interestingly, within countries themselves, religiosity is higher among the poor. People with the lowest incomes are 17% more religious than those with the highest incomes. Recognizing this – that the poor, who can most benefit from aquaculture and fisheries, are often religious – WorldFish is working in Timor-Leste and Bangladesh with priests and imams, among other stakeholders, to encourage communities to protect and conserve wild fish stocks. 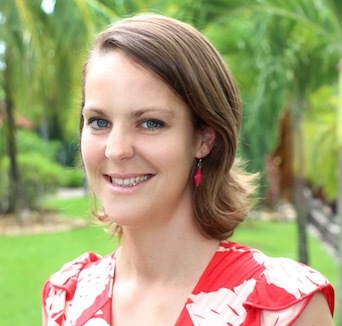 For example, in Adara village in Timor-Leste, new rules to protect reef areas and improve fishing practices were introduced in 2016 under the traditional tara bandu system, which stems from the country’s strong animist beliefs. “Tara bandu is what our ancestors have been practicing for a long time to protect the nearby reef. For people that break the rules, they get fined,” says fisher Matias, about the rules that prohibit unsustainable fishing practices such as poisoning, breaking coral and using small-mesh nets on the reefs. Protestant priests, spiritual leaders and village chiefs alike all endorsed the new rules, which generated buy-in from community members. 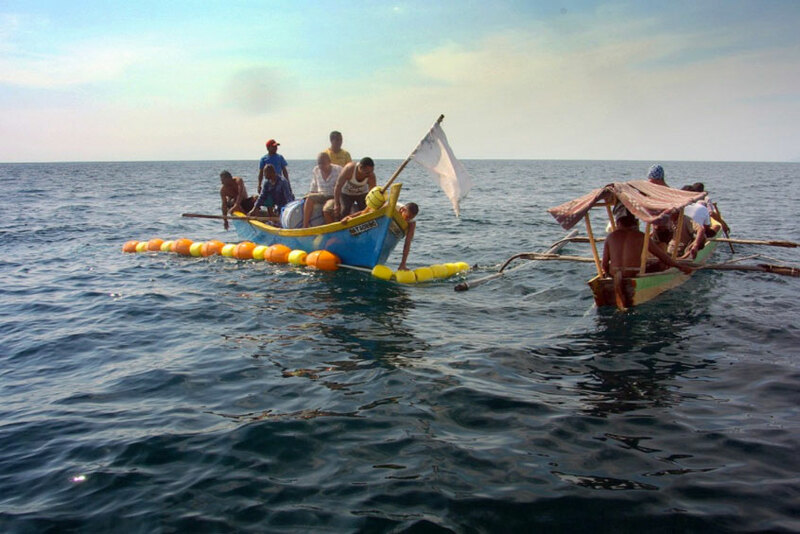 Local Fishers In East Timor. Likewise in Bangladesh, where around 90% of the population are Muslim, the support of religious leaders is helping achieve conservation outcomes for WorldFish’s ECOFish project. Currently, imams in the country’s south are calling on their followers, many who are poor fishers, to abide with government bans that prohibit fishing for hilsa during the current breeding season. As these examples show, the support of spiritual leaders is helping boost food and nutrition security, a blessing for millions of small-scale fishers and their families in developing countries.